Monday – they’re always a bit of a mission aren’t they? The weekends are so precious, so when Monday comes round all too quickly – and a long and weary week beckons – it’s no wonder everyone feels a bit glum. 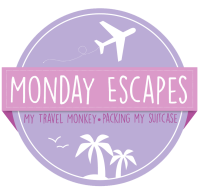 Myself and my dear friend Ting from My Travel Monkey want to banish those Monday blues and inspire some sunshine and travel inspiration by co-hosting a new blog hop called Monday Escapes. Monday Escapes is all about looking back a wonderful, happy travel memories and sharing them with others. It doesn’t have to be abroad or even a written post. If you want to share your favourite snapshots – whether it’s a famous site, scene, dramatic view or even a favourite family photo, then please feel free to link those up, too. Likewise, posts don’t have to be about holidays or weekends away, they can also include day trips, walks, attractions and any travel experience that you want to share. Link up to three posts – old or new – in one week and please be sure to include the Monday Escapes badge at the bottom or a link back to the hosts. Similarly, if you want to show off your photos on Instagram using #MondayEscapes tagging @mytravelmonkey or @packingmysuitcase, we will happily share. 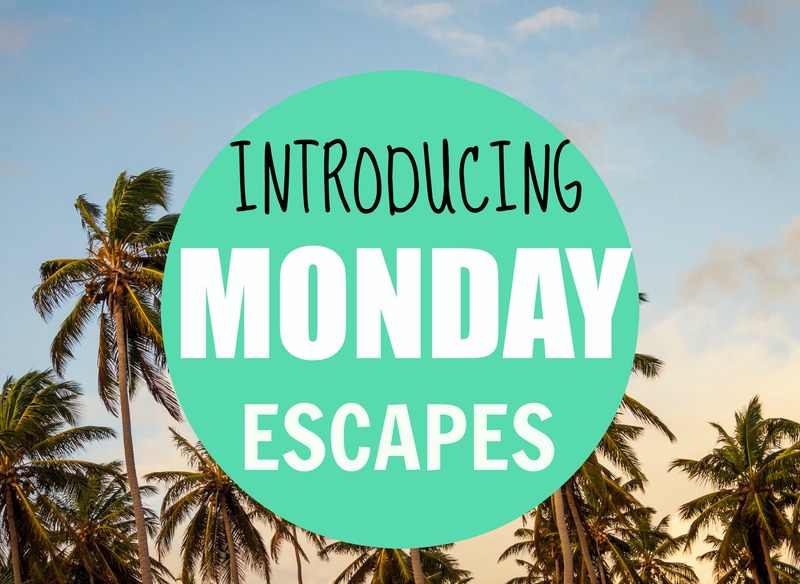 Monday Escapes will go live every week, starting on the 25 May, alternating between myself and Ting – and be open for seven days. Each week will be giving a shout out to some of our favourite posts, as well as photos via Instagram. Lovely to have you all on board and we can’t wait to read about your adventures. Happy Monday all and don’t forget to grab the badge! Yaaaaay thank you Hanne! Glad you liked it 😀 We are very happy to have you on board! Thank you!!! Happy that you liked it! We will start next Monday in the morning, probably at around 9am (Germany’s time) and 8am (UK’s time). Glad to have you on board!!! Yaay!! Happy that you would like to join in! Don’t worry, I am also new with this and still learning. On Monday it will be live… all you will have to do is to send up to 3 links of your posts to Ting, because she is the one who will take care of the links next week. Awesome Upasna!!! Happy to know that 😀 Thank you!! This week Ting is hosting the links, so you can see all posts linked up on her post. hahahaha don’t worry about it Sha! I also had trouble understanding how it works, but it is actually simple. This week Ting from my Travel Monkey is hosting the links, so if you go to her Monday Escapes post you will see a link at the end of the post, where you can add your link(s). It will appear among the others as a thumbnail photo of your blog post. The post can be anything related to travel, it doesn’t matter if it was posted on a Monday or not, and if it is old or recent. It’s up to you.